"Everyone was expecting us to make Modern Warfare 4, which would have been the safe thing to do. But we're not resting on our laurels"
The franchise that defined a generation of gaming seems to be raising the bar once again with the all-new Call of Duty: Ghosts. Published by Activision Publishing, Inc. a wholly owned subsidiary of Activision Blizzard and developed by Infinity Ward, the studio that created the original Call of Duty and the seminal Call of Duty: Modern Warfare series. Call of Duty: Ghosts ushers in the next generation of the franchise. The new title delivers a riveting all-new gameplay experience built on an entirely new story, setting and cast of characters, all powered by a new, next generation Call of Duty engine that redefines the series for the next generation. "Infinity Ward set the gold standard for first-person action for a generation, and they're going to do it again with Call of Duty: Ghosts" said Eric Hirshberg, CEO of Activision Publishing, Inc.
"Ghosts delivers an all-new story, all-new characters, an all-new Call of Duty world, all powered by a next generation Call of Duty engine, which is a leap forward for the franchise. 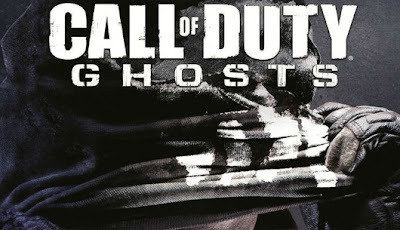 Infinity Ward is going all-in to create the next generation of Call of Duty worthy of the world's greatest fans." With COD: Ghosts implementing this level of drastic changes to both its game play and narrative, it seems it could be a hit or miss situation. Of course it's not gonna be as risky as they are making out. Far too much money has been invested into it. What a load of bull from Rubin, making a modern warfare 4 would have been the bigger risk, fans were getting bored. They had no choice but to make changes, Activision are fooling no one.